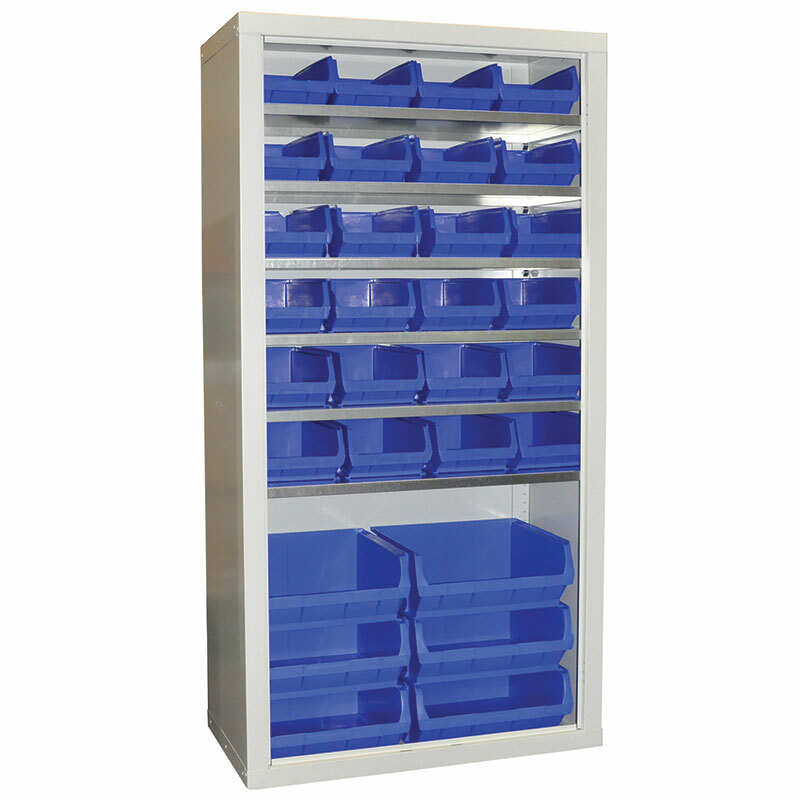 This all-in-one range of storage cupboards includes storage bins and is available in six different sizes. 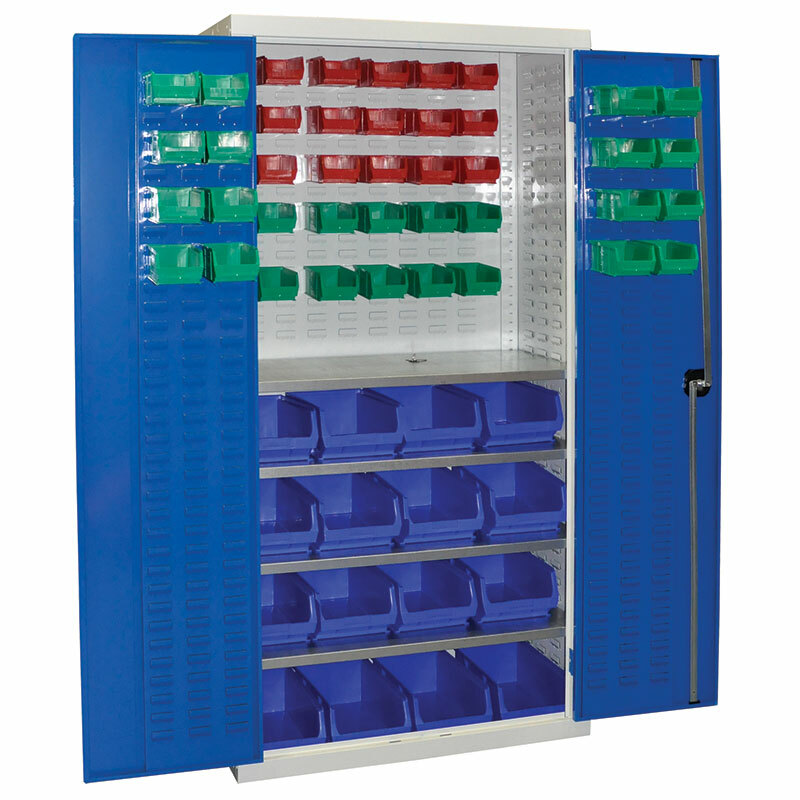 These units are particularly well suited to storing small parts and are available either with or without doors. 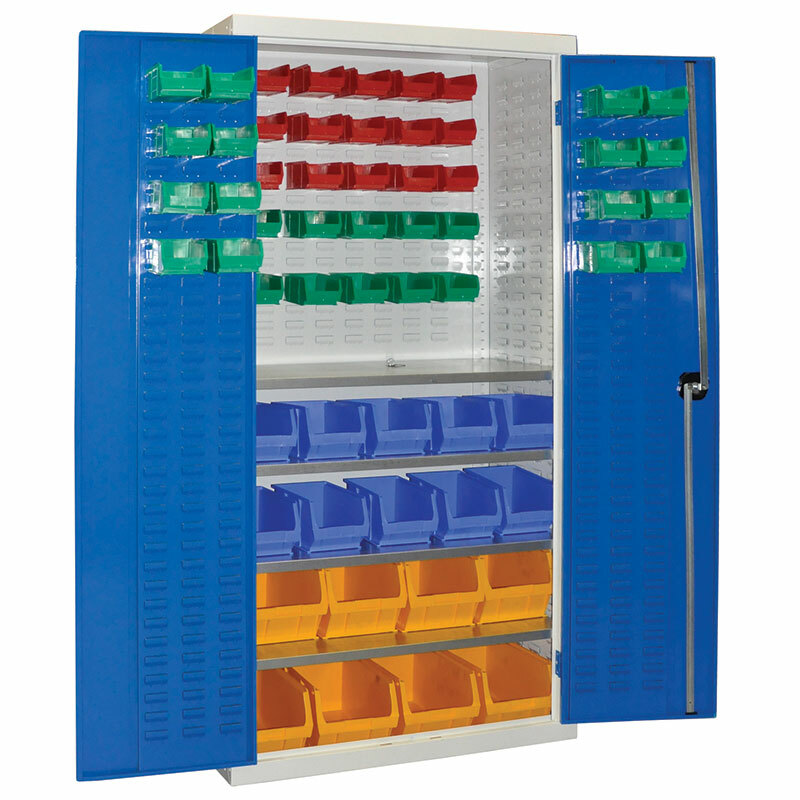 Where chosen, the doors are both strengthened and reinforced, and feature two-point locking with no snag handles, thus allowing secure storage of the items contained within. These cabinets measure 1800mm high x 900mm wide and 460mm deep. 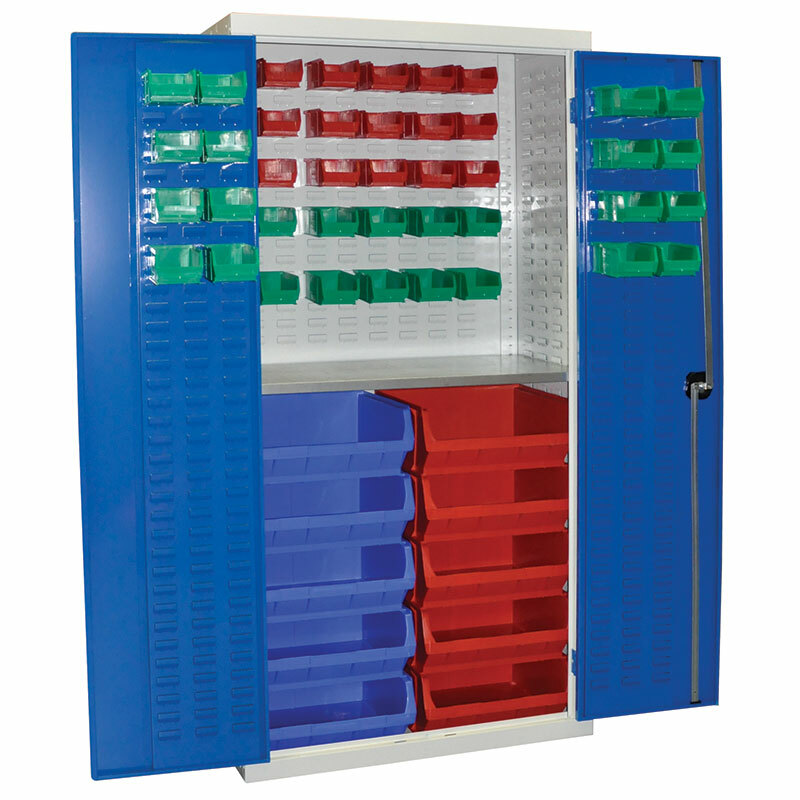 Each storage cupboard is certified as reaction to fire classification EN 13501-1. 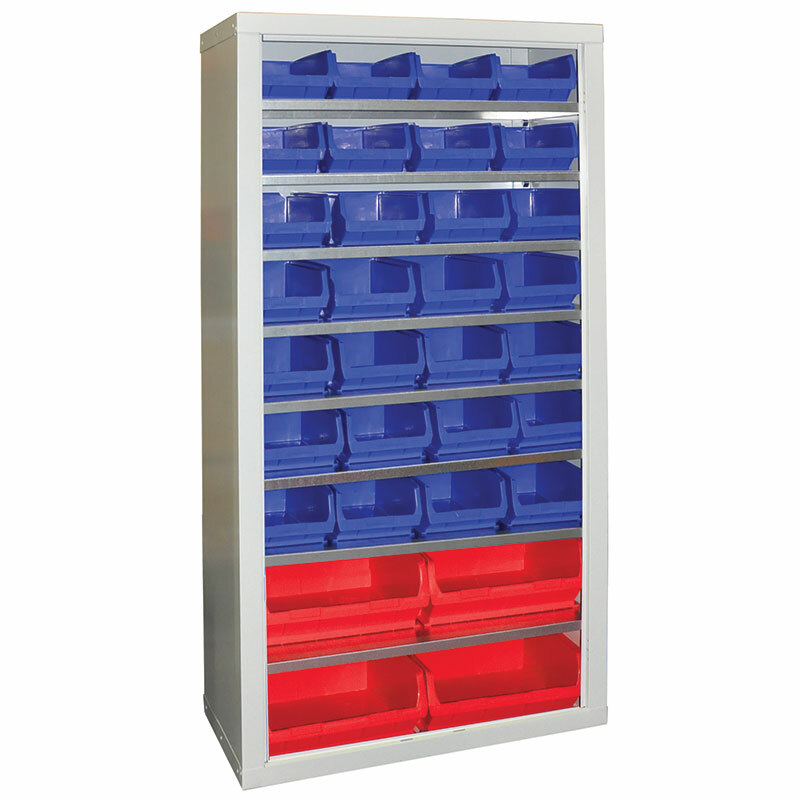 These cupboards are fitted with galvanised shelves which each have a capacity of 75kg. 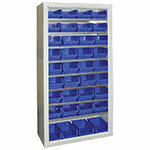 We also supply additional shelves should you wish to add extra capacity. Designed and manufactured in the UK, our cupboards are finished with a powder-coated light grey carcass and dark blue doors, with the added benefit of germ guard active technology.